I’m back with an anniversary card for my dear cousin. Then I added three strips of some Recollection bling. Next, I die cut some little scrolly leaves in both vellum and white card stock. 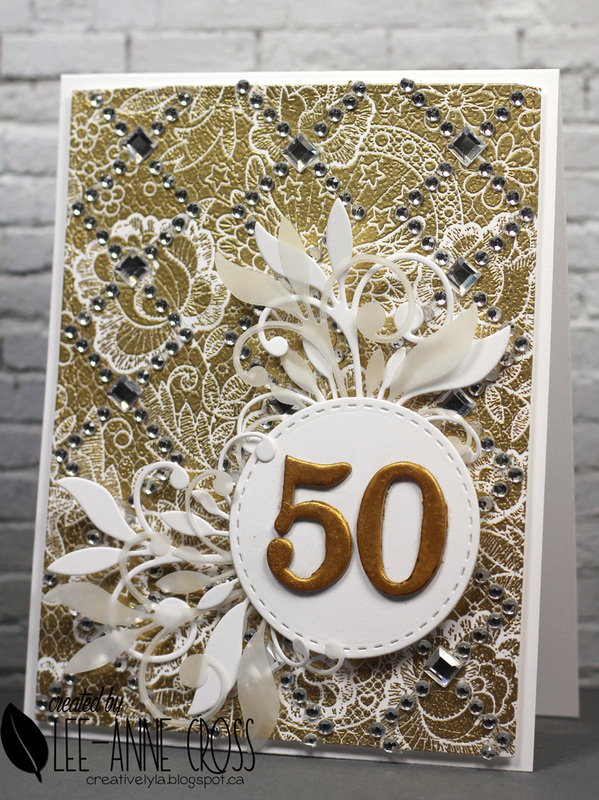 The “50” was made with a couple of stickers and some Inka Gold. Not sure when I’ll be back…but it kind of felt good to actually make something today!